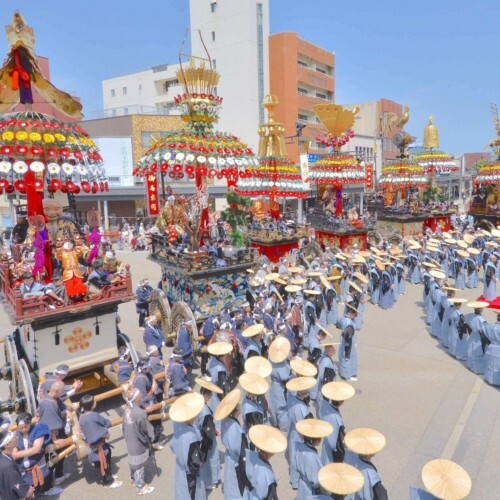 The Chiryu Matsuri is a festival with an ancient and honorable origin featuring magnificent floats, held in Chiryu City, Aichi Prefecture, on May 2nd and 3rd. It is said that the first time the floats were paraded as an offering for the deities was in 1653. 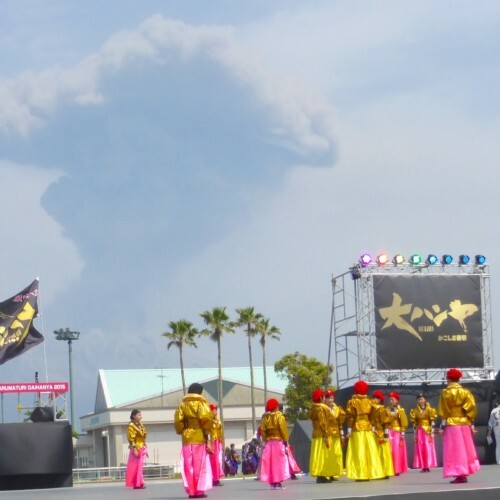 Since then, the Hon-matsuri, or Main Festival, has been held on the even years, and the Ai-matsuri, or "Between" festival, is held on the odd years. 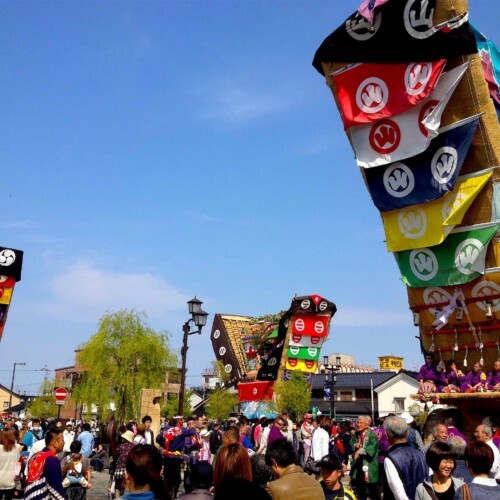 For the Hon-matsuri, the floats weigh up to 5 tons, reaching 7 meters high and feature traditional folk performances with puppets. In 2016, they were listed as a Unesco intangible cultural asset. The Ai-matsuri features Hanaguruma, or simple floats decorated with showy flowers. Get a taste of traditional Japanese folk performances, city-scapes of long ago and the unique atmosphere of ancient shrines altogether in one. 1．Watch local men lift the 5 ton floats! 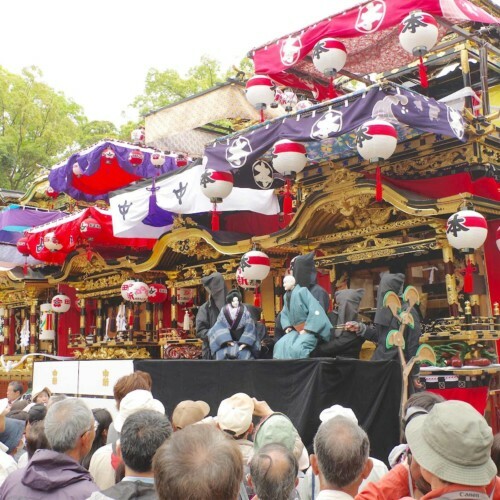 The Hon-matsuri features five, 7m tall, 5 ton floats. Not only are they bold in presence, but they boast carvings layered in gold and intricate decorations. When they are brought to the Chiryu Shrine for service, the highlight is when the men — about eight or so — who do the pulling, stop to compose themselves, center their focus and lift the float in unison. 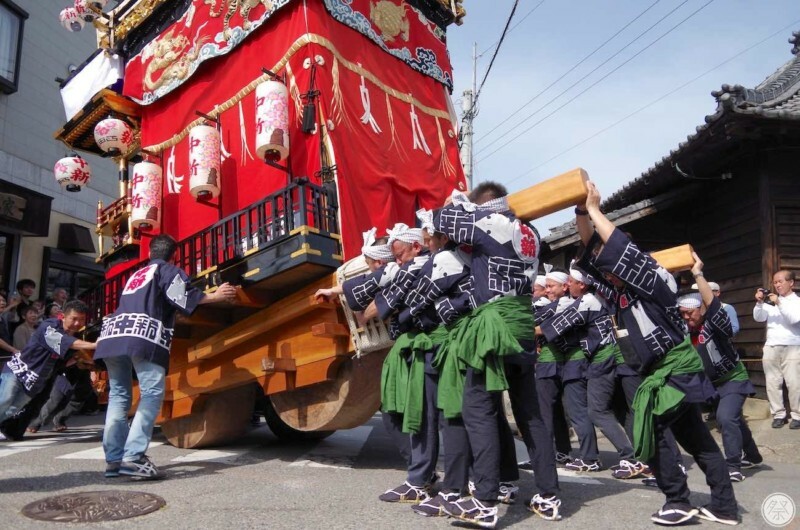 After lifting the rear end into the air, they push it another 150 meters down the path to the shrine, bathing in the cheers and applause of onlookers. 2．Watch the figurines come to life. As the floats approach the shrine grounds, plays featuring dolls are put on for the viewers. There are two types of puppet theater. One, known as Joruri, is made up of three elements: a narration, the melody of Shamisen, and the doll. 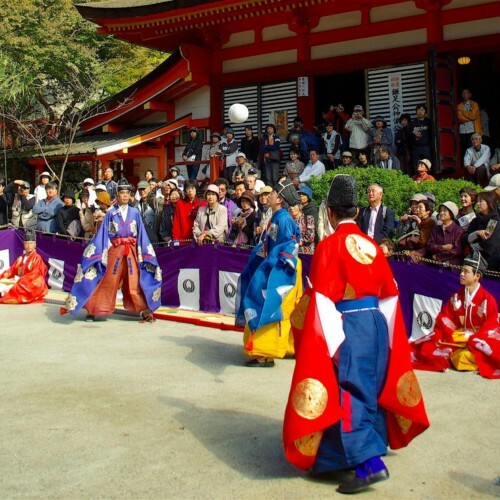 It is an ancient folk tradition and it takes three people to maneuver one puppet. Thanks to this division of roles, the figurines are able to come to life and move in detailed and realistic ways. Only at the Chiryu Matsuri can you see it performed on top of the floats. 3．Pay close attention to the Karakuri. 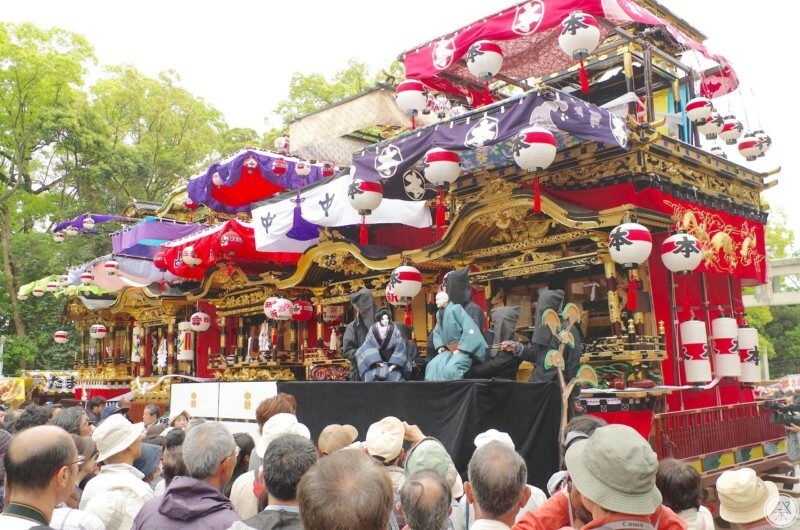 Only one of the floats during the Hon-matsuri contains a Karakuri-type performance, a play that features dolls moved by strings. These strings, however, are on the inside of the mechanical doll, and pulled from below to maneuver it around the stage. Take your time and take in the ancient high-level craftsmanship and the mature and polished techniques all in one. During the Ai-matsuri, or "Between Festival," vibrant flower floats take over the town. These floats, known as Hanaguruma, feature large flower decorations that cover the whole top. There are five Hanaguruma and they boast bright eye-catching colors like pink, yellow and purple. From the evening hours, chochin lanterns are lit on the floats and they take on a fantasy-like beauty that you must see. General Participation Anyone can view. 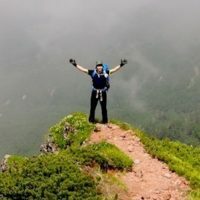 Participation depends on the borough. International Reception and Info. Not Available. 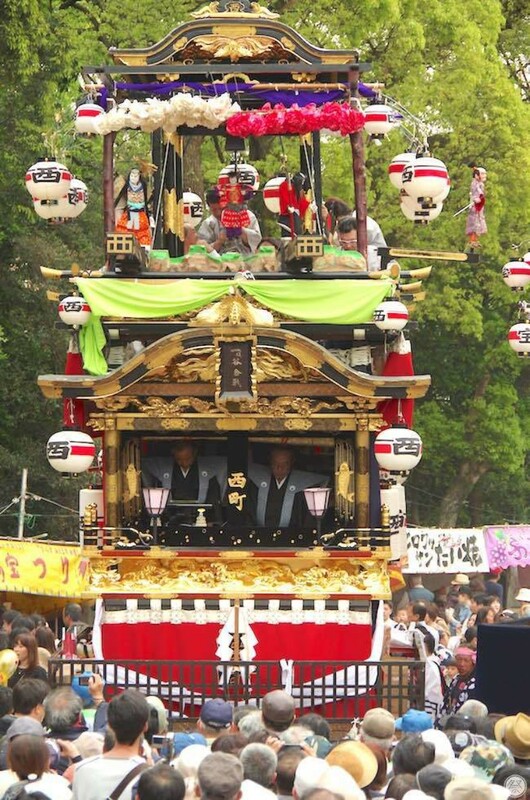 During certain times of the festival, such as when the floats arrive at the shrine, the narrow roads can get congested with people, leading to temporary road restrictions like detours and brief one-ways. Please follow the instructions of the security staff.